After breakfast this morning we went outside to beat the rain ( which still hasn’t come ) and played. We only need a few more materials outside and all the areas we need to cover and do cover inside would be represented. On days that are so mild it is difficult to be inside . As the children played I was reminded of something I have been hearing a lot. As children excitedly share news I hear friends say ” I KNOW ALREADY..” In order to understand you have to put your hand on your hip and say it with a little sass. Now, this isn’t ” bad ” language but it isn’t kind. We are mainly in preschool to help littles learn to navigate relationships and well ” I KNOW ALREADY” isn’t particularly growing healthy conversation . How do we handle this ? It’t not really something someone should be reprimanded over and I am interested to know why it is being said. Does it give them power ? 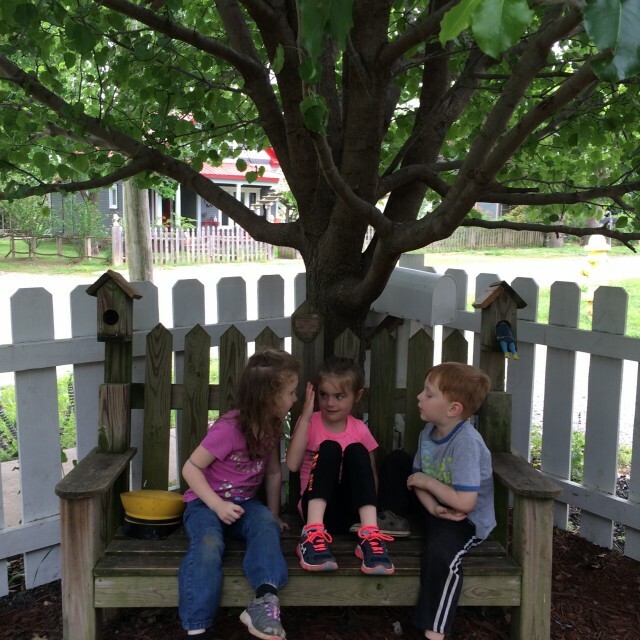 So , like many things in our preschool family we decided to have a family chat. ” Friends, I have noticed something is happening and I want you to help me figure out whats going on. ” Ms Dallas ” 5 minutes warning… ” Ms Debbie ( with sass ) ” I KNOW ALREADY ..” The kids were silent. Ms Dallas added a dramatic flair and bent her head down. I asked her how my answer made her feel. She said sad and hurt. Continuing the conversation I asked my friends if they had heard that said before in our preschool family . There was an overwhelming yes. We discussed how it probably made our friends feel and were our words being ” helpful or hurtful .” Everyone agreed that it was hurtful. We talked about alternatives. One child suggested we just change our tone of voice to a ” nice ” tone. So then we dug even further. If you were excited about something and someone said ” I KNOW ALREADY ” ( even if you had said it ten times today already) how would you feel ? Finally, we came to the conclusion that maybe just saying ” Thank you ” or ” You seem excited about that..” might be a better fit when talking to our preschool family. Why is this important ? PRESCHOOL IS ABSOLUTELY AND TOTALL Y THE BEST PLACE TO PRACTICE SOCIAL SKILLS. Can you imagine if your child goes to kindergarten and the teacher says ” We are going to put our things away now.” and your child replied ” I KNOW ALREADY?” There might be consequences for sassing the teacher. Thankfully , in preschool , your teachers realize this is a great time for ” teaching ” and modeling appropriate responses . This was the most important thing that happened at our house today.